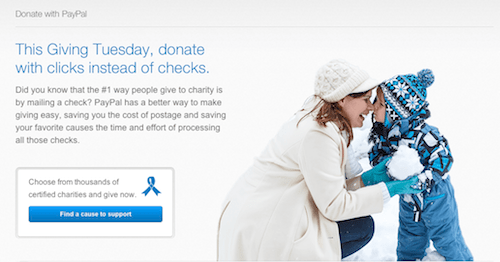 Starting on Giving Tuesday and through the end of December, PayPal is encouraging donors to ‘Stamp Out Checks’ by making their holiday charitable donations through the online payment processor. PayPal will donate $5.52 (the cost of 12 stamps) to one of thousands of certified charities with a $25 online donation up to $30,000. Between #GivingTuesday and New Year’s Eve, The Home Depot Foundation is inviting people to share their support for veterans by tweeting using #TeamDepot. 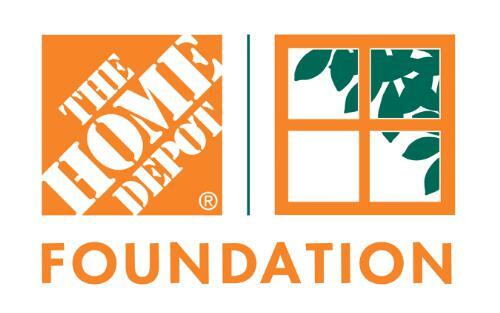 For each #TeamDepot tweet, The Home Depot Foundation will donate $1 to Operation Homefront, up to $100,000. 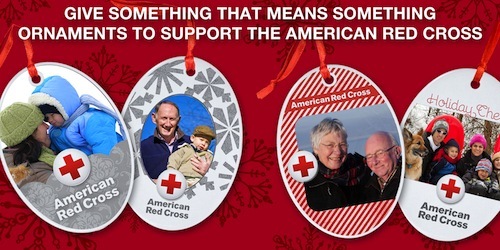 Kicking off on #GivingTuesday, Cafe Press is offering to customize holiday ornaments to benefit the American Red Cross. Customers can add their photo to a variety of Red Cross templates for $15 with $6.50 going to Red Cross Disaster Relief. This year Microsoft YouthSpark, which supports nonprofits that provide education, employment, and entrepreneurship opportunities for young people, will be matching donations made to via GlobalGiving for 24 hours starting at 9am PST on December 3rd. In addition, Microsoft Stores will donate a $25 gift card with every purchase on #GivingTuesday.